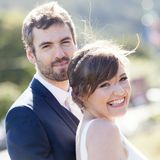 You receive first 30 pictures from your wedding in JUST 2 DAYS! See my packages for details. Esra and I are super happy that you were shooting the most important day in our lives. We are so over the moon to see these amazing photos, absolutely love them! Wow! We can't thank you enough and are so grateful that you took our photos. Dear Julie, Thank you so much for being our amazing photographer!. 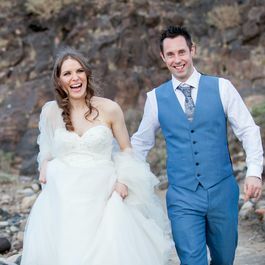 We really appreciate you coming to Tenerife and capturing our day so perfectly. Thank you for all the effort you put into our album - we love it and everyone who has seen it is so impressed. We will treasure the memories and the photos for a lifetime. Thanks again! After we got engaged it was a no brainer but to ask Julie to be our wedding photographer - she had captured my sister's wedding 3 years previously... Julie's kind and friendly personality makes her so easy to work with, and she captures the most beautiful of moments even when you don't realise she is snapping away... We are completely blown away with all our photos and our album is next to none... We really cannot thank you enough for enhancing the memory of our special day with truly amazing images! Thank you so much Julie, we will have no hesitation to recommend you to everyone we know! Julie was our photographer for our wedding on the 30th April this year. She was professional and pleasant from the outset, and always replied to my emails quickly and answering any questions we had. 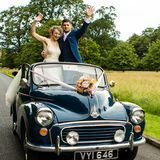 She arrived early on the morning of the wedding and took loads of photos from every kind of angle! She was even good enough to bring rings to church for me at my request! Going above and beyond! She stayed until first dance so it was a long day for her but she got all the shots and more that we could have wanted. 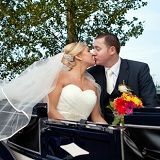 We love out photos - they are bright and natural looking and really reflect the sentiment of the day. Thanks Julie for the hard work, the professionalism and the creativity that you brought to our photos and to our day. 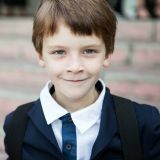 We found Julie online and loved the sense of life, colour and imagination that she brings to the pictures. We were delighted working with her. Very laid back and accommodating but highly professional. Julie was so amazing on the day, she really blended in with my family in the morning and just got on with taking beautiful photos throughout the day. Brilliant. We met Julie at the Bride of the Year Show in January. It must have been fate as her stand was beside Barberstown Castle's stand, which is where we were having our wedding. I loved her style straight away. 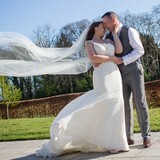 We couldn't have wished for a more professional or friendlier photographer to capture our day. She was so easy to work with and took incredible pictures. She joined us from getting ready in the morning and stayed until well after our first dance. So many of our guests commented on her professionalism and friendliness. 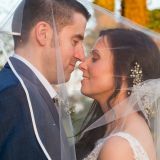 We have amazing photos to remember our incredible day by! 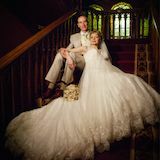 Dear Julie, Thank you so much for being our photographer at our recent wedding. 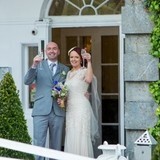 You did a fantastic job and we are delighted with the photos. 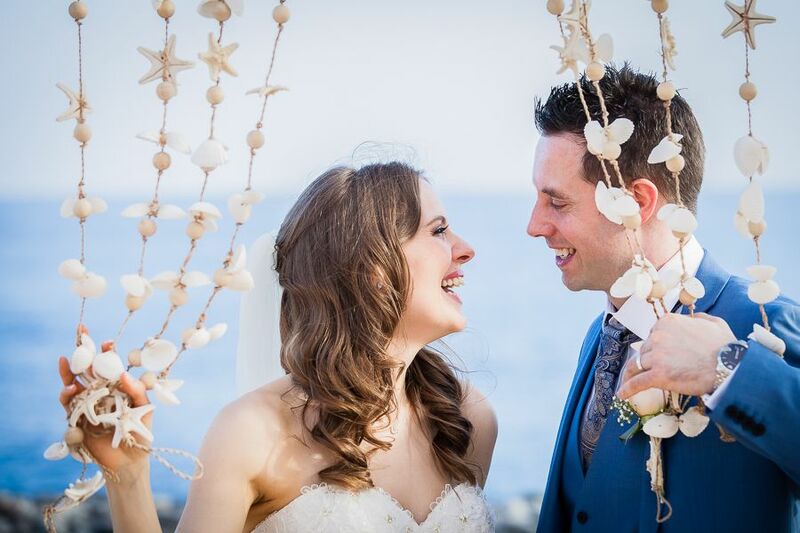 We love all the natural photos that you took of us and our guests. Just what we wanted! We very much appreciate it! You stayed so late too & really caught the great atmosphere of the day. We love the photos! Thank you!! Hi Julie, thank you for sending our photos to us so quickly. They are amazing and exactly what we wanted! We want to say thank you for how professional everything was. Thank you Julie! 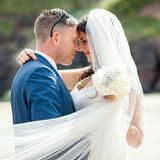 Just want to say a huge thank you to Julie for taking amazing photos of our wedding in Dunmore East this summer. She was very professional and warm and friendly and made everybody feel at ease. Couldn't recommend you enough Julie. Thank you so much! 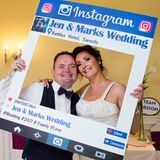 Hi Julie, just a word of thanks for the great job you did for Jennifer&Mark's Wedding. As usual your work was first class and the Photographs were absolutely lovely. I will always recommend you to anyone that may be looking for a Photographer for any occasion... Once again thank you for all your hard work and patience on the day. 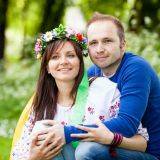 Julie we cannot thank you enough for capturing our special day in Barberstown Castle, 28Aug15. Your eye for light and colour, from the photos that we've seen so far, is excellent. We're both really excited to see all the photos from the day. We know we're in very good hands. Your patience for our first dance, even though the band delayed everything, kept myself and Geraldine at ease and your professionalism cannot be match. We would highly recommend Julie for any event. Again thank you. 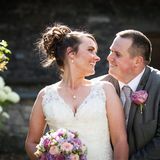 We are very happy to have had Julie as our wedding photographer. Not only did she take excellent photographs throughout the day but she also guided us through the experience with her invaluable suggestions and great resourcefulness. 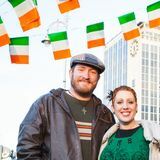 After our civil ceremony we did a photo shoot in the Docklands area of Dublin where Julie suggested so many beautiful spots for pictures. The way she composed the pictures gave the special effect of it being just the two of us, even though we were in the middle of the city. We highly recommend Julie. 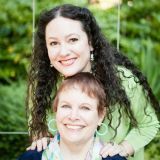 We felt very relaxed and comfortable throughout our photo shoot, and the outcome was a beautiful and unique collection of photos which we will treasure forever. We had the pleasure of having Julie Photo Art for our wedding day. Julie was very efficient and had some photos ready for us the day after our wedding. Our photos are beautiful and we are so pleased with them. Our album is just simply amazing, the quality and layout was done to perfection. Julie also gave us a mini wedding album which was such a lovely idea as we could carry around and show off her lovely work. 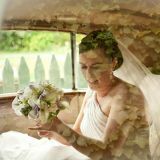 We would definitely recommend Julie Photo Art for your perfect wedding day!! Thanks again Julie. 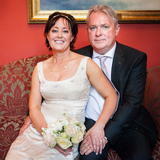 I first met Julie when she shot one of my good friend's wedding 2 years ago in Dublin. She was there right at the beginning when my friend Roxy was preparing in the morning right up till the reception, taking every opportunity to take good pictures. I am honoured to have her as my photographer at my very own wedding, and she didn't disappoint me. 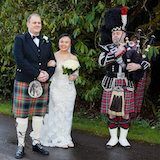 Scottish weather can be terrible, but she took all the opportunity she could to get pictures of my husband and I in the sun. She also took the effort to take photos of the guests and my friends, and they are all very happy with her effort and complimented her work. She's also flexible and cater to my needs. 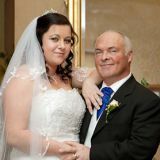 I would highly recommend her, not only for weddings, but for any occasion you wish to capture a special moment! Thank you, Julie for all the amazing photos. I hope we will have a special occasion to have you as our photographer again! Joe: Hi Julie just a quick line to say it was a real pleasure to have you as our photographer for our Wedding. You are a true professional. 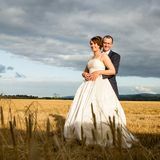 The photos are top class and also thank you for all your help on the day it was very much appreciated. Thank you so much for everything. Keep up the great work. Julie was our photographer about 3 times within the last year. 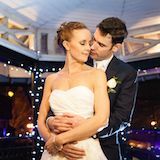 When looking for a photographer for our Wedding we wanted to find someone flexible, with creative ideas, willing to understand our wishes and see the wedding pictures the way we see them. And we were completely delighted to find someone with a creative approach. Julie is a responsible, professional, interesting, never-tired photographer. She was with us for the whole day of the wedding from early morning till the night capturing the most important moments of our life. 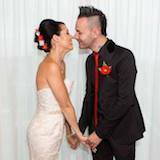 We booked Julie for our wedding in March 2013. She was very efficient in all she done during our special day. Her pictures are very unique and she managed to capture our day from start to finish. We would highly recommend her for any occasion! We had a great opportunity to ask Julie to make our wedding pictures. The day was nervous, but work with the photographer relaxed me and helped to feel a meaning of the day. When I saw the pictures I couldn't believe it was me! So gorgeous and brilliant it looked! She found interesting views of the place, got cute details, made me and my fiance laugh so the photos look so lively and natural. We want to thank Julie for this beautiful memories that we are keeping carefully! She is a professional and you can really see it from her work. We wish you all the best, new lovely clients and a lo-o-ot of creative work! Liza: Julie mostly shoots weddings because she loves to be a part of the unique atmosphere each couple radiates while creating their new happiness. She spent so much time with us starting from early morning in the bride's house. Her photos are full of warmth, kindness, deepness and love! It's a pity I can't share all of her photos! Both I and Denis were greatly surprised by her work and her personality. Denis: All our friends (and now friends of friends) are super excited about your photos of our wedding. It is truly outstanding!!! Thank you again and again!! I'm mo-o-o-ore then happy to recommend Julie to everybody! When we met Julie before our wedding and saw samples of her works, we had no doubt that she is absolutely the right person to capture our precious day. Her photographs are brilliant, her style is different, and her albums are truly gorgeous! 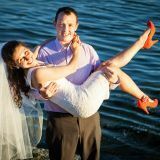 Julie, we are really grateful to you for our GORGEOUS wedding album!!! It is the best album we have ever seen! Everyone from our family and friends was so delighted! Pages of dancing by the pool on the street are our favourite! We definitely recommend this talented person to every couple who wish to capture their wedding in a creative and natural way! Dear Julie, thank you so much!!! 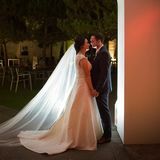 Thank you for sharing the joy of our wedding day and keeping it for our sweet memories! 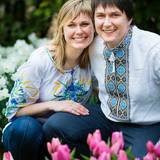 Our pictures are just wonderful, we are very satisfied and we'll sure make an album! Love every photograph, looking through them over and over again and cannot see enough! Thank God that you were with us on our Big Day. Melissa: Julie is a wonderful photographer & lovely person. So glad after emailing back & forth from the states we finally got to meet in person! Thank you for making my surprise vow renewal such a wonderful experience. Joshua: Julie was AMAZING!! So patient and professional - THANK YOU for being a part of our very very special memory! We had an amazing family photoshoot with Julie, it wasn't a standard one, where your muscles get tired of constant posing, it was purely natural and fun! Julie, thnx for creating the atmosphere and making us laugh all the way through, thnx for creative ideas and super-high-quality shoots. 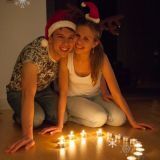 It was our dream to have a Christmas family photosession - thnx for making it so special and memorable! I would like to give Julie 10 out of 10 for the amazing job that she did. This is the first time that I felt so at ease with a photographer. Julie managed to do amazing shots with me not having to pose per se. The pictures came out very natural, not strained as they do after some photosessions. She just made me feel very relaxed. She seemed to have figured out my personality, and the pictures reflected that. There was not a single picture that I did not like. She knew exactly how I should and should not be photographed. I greatly appreciate Julie's work! Julie is a professional with a capital P!!! I am sincerely grateful for unforgettable positive emotions she has given us. Surprise that you made for me will stay in my heart forever. It's a great pleasure to have such friends that can share these bright and joyful moments of my life. Special thank you for super wonderful photos. I am just thrilled that you captured all the moments of our engagement. Now looking through the album I feel like getting into the fairy tale again and again. It's so nice that true professional does not need to create special setup for photos. Each picture came out so natural and gives only positive emotions. Thanks to your work this enjoyable event will stay in our hearts forever. 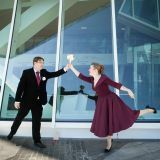 This was our first photoshoot with the great photographer and we hope that by no means the last! I can compare Julie to photographers from other weddings I was at, and can say she is the best! She did not make us pose for her! We and our guests just enjoyed the holiday and didn't notice her at all! Our guests did not have to wait for the couple to be pictured all over the city (usually it's so boring). Everybody did what they wanted to do: drove the city, talked, danced, laughed, drank, and enjoyed different rides. And as a result - we got hundreds of excellent pictures where I could hardly choose the best 100 for printing. You know, it's really hard to choose the best 100 from 400-600 great pictures. People looked vivid, excited, cheerful and NATURAL. Julie is a great photographer with a sure eye and endless patience. Sensitive to her client's needs and desires, Julie is enthusiastic and a perfectionist when it comes to her art, but is loving and kind in her relationships. This client, at least, is looking forward to a lovely friendship as well as a professional relationship. Dear Julie! I'm so thankful for the great pictures you've created for me and my son Antony! So many wonderful moments for the sweet memories! Such marvelous pictures! You are very talented person! And you really have an expertise in photography!!! Thanks a lot! I wish you success and inspiration! 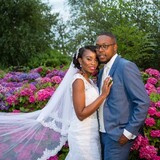 Me and my husband would like to thank you, once we got your pictures we rejoiced that it was you who shot our wedding. The photos are excellent, creative, bright... thanks for the great work! 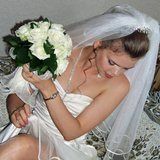 I want to mention the perfect pictures of the wedding accessories, they are among my favourites, I have a picture of a bouquet on my desktop. I highly recommend Julie to all brides-to-be! 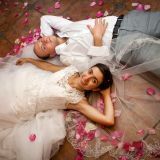 My name is Julie, I'm a documentary and reportage wedding photographer travelling around Europe for my work since 2007. I came to photography from a Fine Art and Design background. I have brought a classic education of light, colours and proportions to the art of my photography. 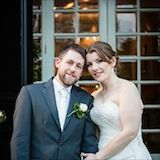 Shooting weddings in different countries helps me bringing fresh view and creative tips to the classical and contemporary Irish wedding photography. I am proud of the hand crafted design of my albums that are not just collection of pictures but tell the story of the perfect day of the couple. 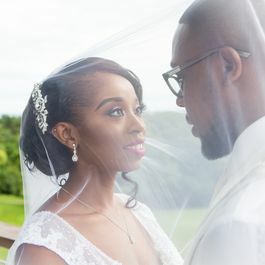 My goal is to capture every moment of your wedding day as an unforgettable celebration it should be. 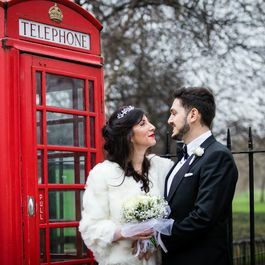 You will get a great set of pictures where each moment and each detail of your Big Day is captured with the utmost attention and creativeness. Tell me your date and some details about your wedding or celebration and I'll give you personalized offer.